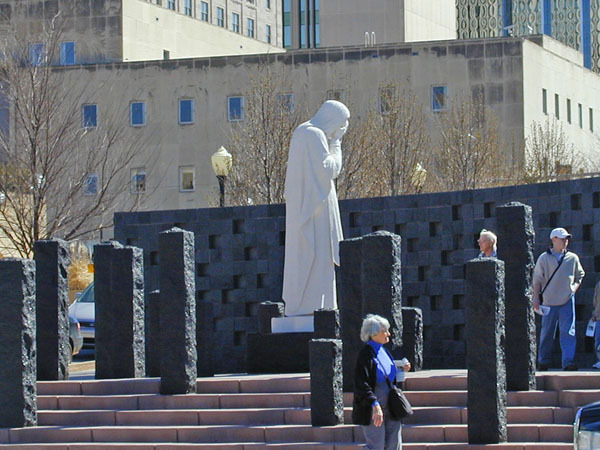 For Spring Break 2001, I took a day-trip into Oklahoma to see Turner Falls and visit the Oklahoma City National Memorial. Driving north on I-35 I crossed the Red River for the first time. The pictures I took don't show the red color as well as some other views might show. 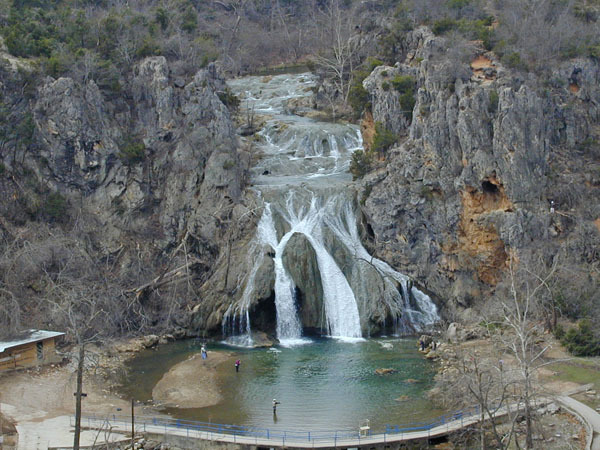 About 50 miles north of the border is Turner Falls. 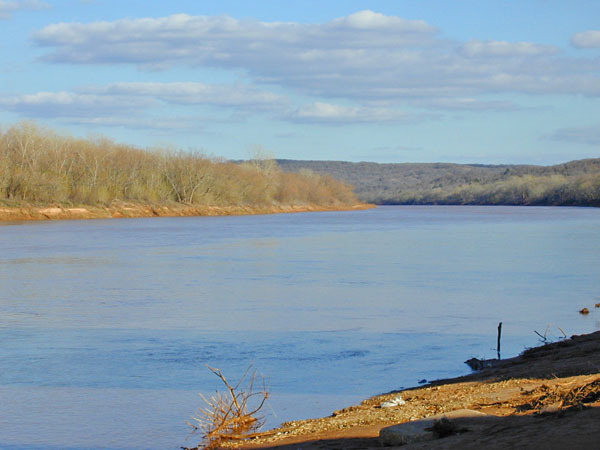 It is a very beautiful area in southern Oklahoma. 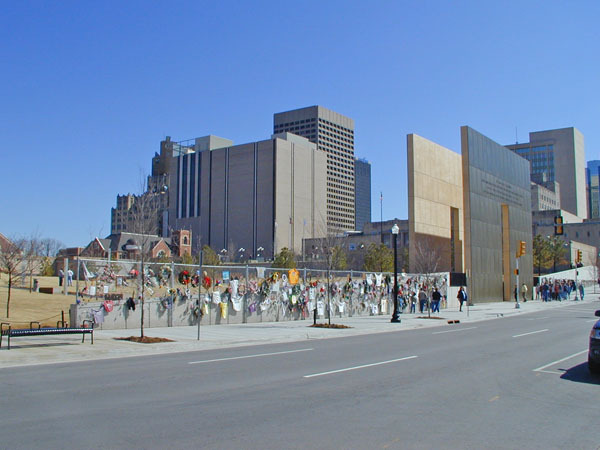 The other stop on my quick trip was to see the Oklahoma City National Memorial. I only had about an hour, so I only viewed the outer area -- I did not go through the museum. I plan on going back sometime in the future to tour the museum. It is a very moving experience. The first thing you see driving in on NW 5th is this wall. 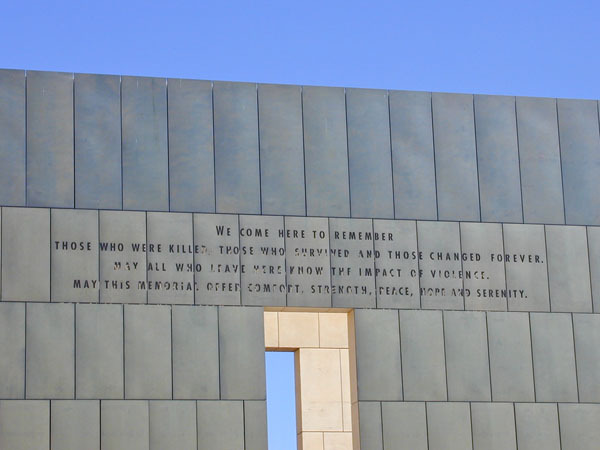 The text says, "We come here to remember those who were killed, those who survived, and those changed forever. May all who leave here know the impact of violence. May this memorial offer comfort, strength, peace, hope, and serenity." One of the moving parts of the memorial is across the street at a church. This statue of Jesus has his back to the area where the violence occurred. It was said that He could not look upon the evil that occurred. The lasting effect upon children was one of the worst parts of the tragedy. 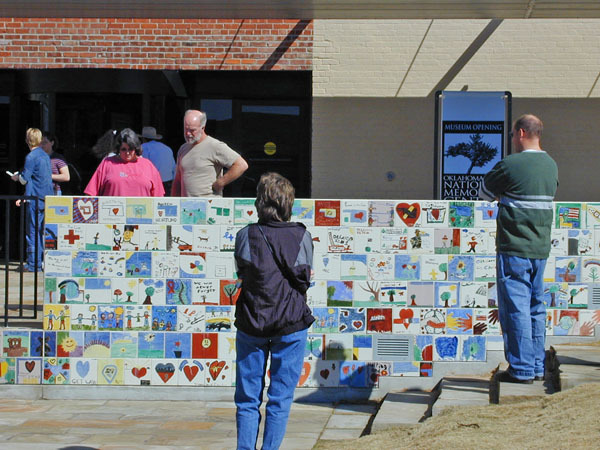 This wall has art work drawn by kids to help in their recovery process. 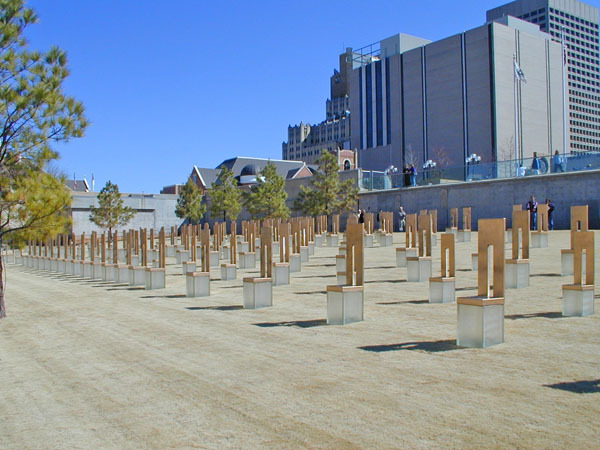 These chairs represent all of those who died. 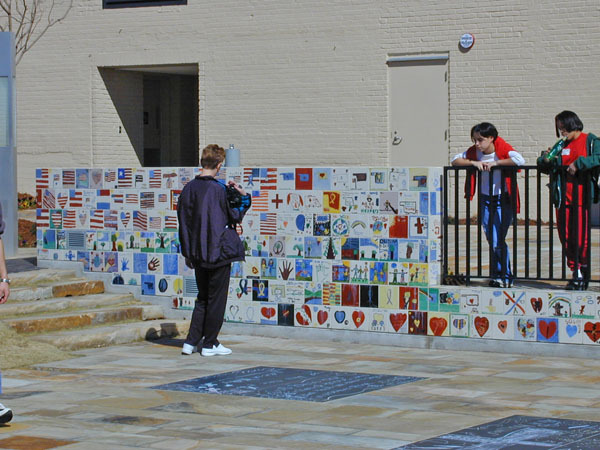 The chairs are located in a way that represents where the person was in the building at the time. The small chairs are for children.